Kcasey McLoughlin is an early career researcher and social commentator who probes the notion of gendered difference in Australian law. 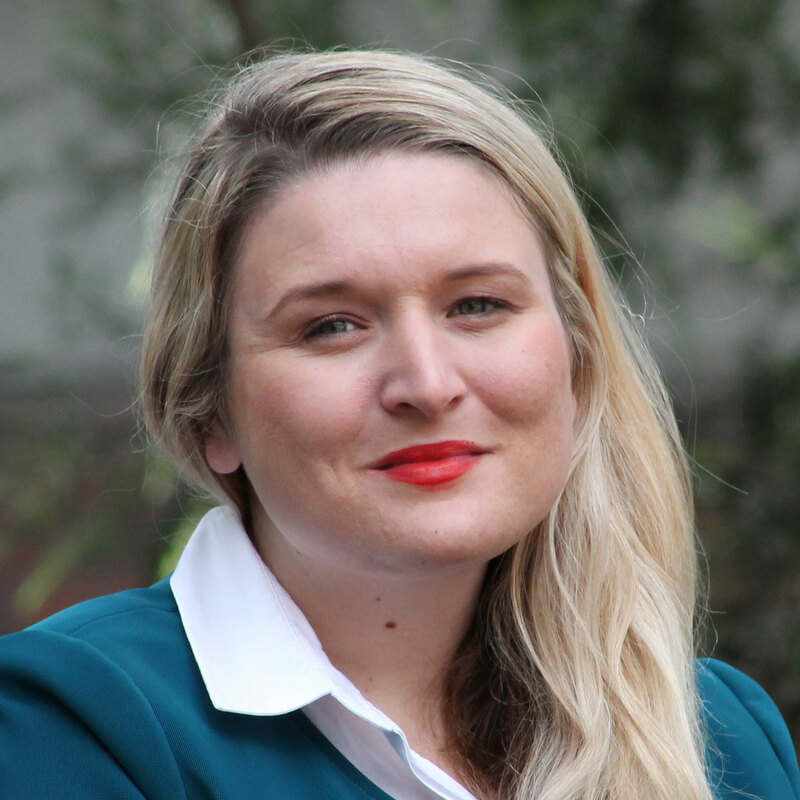 Kcasey McLoughlin crafted her PhD thesis, critically interrogating the impact of gender within the High Court of Australia. The High Court of Australia is the supreme court in the Australian court hierarchy, with seven judges presiding over the court at any one time. Kcasey's thesis was originally inspired by a period between 2009 and early 2015, when three of the seven judges were women. This gender proportion was in stark contrast to previous incarnations that were heavily gendered or completely exclusive of women. Kcasey's thesis examined the influence of gender, and gender politics, on the High Court processes, from appointment through to the retirement of judges. Additionally, Kcasey's thesis it also asked whether women judges effectuate a gendered perspective informed by life experience, or innate difference in legal reasoning. By exploring the judgments of this period, Kcasey is also assessing whether the important radical transformations as envisaged by 20th century feminist theorists agitating for gender balance in judiciary bodies has occurred, or is even possible, within the High Court of Australia. Firstly, the appointment process of high court judges, and the inevitable discourses around those appointments are examined in Kcasey's work. Conversations regarding the meritorious virtues of newly appointed male judges are rarely undertaken. In contrast, the appointment of female judges incites much discussion about merit, and assurances that affirmative action has not been invoked. Kcasey recently published an article in the Alternative Law Journal about the politics of merit and diversity in High Court appointments. Speeches given by newly appointed judges at their swearing in ceremony also reflect a gender disparity. Kcasey points out that new male judges are more than willing to emphasise aspects of their lives that don't fit within a dominant narrative. One male judge even affirmed the importance of women judges in his speech. Comparatively, the women judges disregarded the challenges they have faced as being irrelevant and downplayed their difference, choosing to avoid a possible label of advocate. A study of women judges' maiden or first judgments to be published in the forthcoming issue of the international journal Feminist Legal Studies in 2015, gives insight into prevailing models of collegiality on the court. "It's quite fascinating. They actually have this wonderful moment of judicial authority when they start out, but subsequently their contributions have very much been based on consensus," Kcasey explains. The retirement speeches made by retiring female High Court judges are also examined in Kcasey's thesis. Justice Susan Crennan retired in early 2015. Her final speech celebrated the consensus and collegiality of the bench. Justice Crennan's subsequent replacement by Justice Geoffrey Nettle sparked discourse around gender equity. Debate around gender quotas, an equity measure Australia seemed unwilling to institute, also followed. Kcasey concedes that the women appointed to the High Court are delegated power within a masculinist structure and are therefore somewhat limited in their capacity to affect change. But she does admit to being fascinated by just how much these female judges have participated in forming part of the consensus. It was Kcasey's dislike of consensus that originally started her on this career path. "I've wanted to be a lawyer since I was about seven. My parent's told me I was very good at arguing, although it turns out that is not always the most appropriate skill set for this profession," she laughs. In high school, Kcasey was awarded the Sir Adrian Solomons Memorial Law Bursary, and undertook work experience in a legal firm, confirming her choice of career. Upon graduating with Honours, Kcasey applied for a PhD scholarship. This allowed her to volunteer at a community legal centre and tutor across many subjects, before gaining a full time teaching position at the UON in 2012. "I love teaching. There is a lot I like about being an academic. There is autonomy, and space to write about things that you care about," she says. By extension, Kcasey's work is also concerned with the impact of law on the lives of Australian women. She has already made several thought provoking contributions to national discourse around feminism, law and politics. Kcasey wrote a pointed piece for The Conversation regarding the framing of the appointment of Justice Michelle Gordon to the High Court in 2015. In it, she argues that the reinstatement of the almost equal gender balance in the High Court was merely serendipitous for a government looking for an appointee who would maintain the philosophical status quo of the existing bench. Kcasey has also written about the implications of Zoe's Law on the legal status of abortion in this state. "The narrative around Zoe's Law has become very problematic," she says. "The unfortunate side effect of the unimaginable grief of an individual is a debate which has the potential to impact on the autonomy all women have over their own bodies." She has also authored articles exploring the ethical and legal quandaries that are inherent within the ever-evolving manifestations of the Abbott government's paid-parental leave scheme plans. Kcasey is aware that her choices around topics may affect her future career prospects, but feels ethically compelled to join in on these debates. "I had a vision of myself having courtroom dramas and that is still an option. For now, contributing to important conversations that we need to have as a nation, is important to me." She smiles, "Even if they may not help my employability status. Investigating instances of inequity and agitating for change is a life's work for Kcasey. The High Court is only her first target, and demanding diversity of representation, only a first step. "There is all kinds of scope to look at diversity. People say 'So what are you going to do, have a seat for this person and one for that person?'" "But that's a really simplistic binary. What we should be doing is having conversations about diversity and its benefits. Diversity enhances our public institutions rather than undermines them." Kcasey notes that even without radical advocates or codified changes in processes, the evolution of society will be slowly but inevitably mirrored in changes to the High Court. She notes that the male judges appointed in the future will be brought up in a different time to their previous counterparts, and can be feminists. Despite the idealistic vision of the feminist theorists of the past, even equal representation in power may not create fast or noticeable change, as Kcasey's study of the period of almost equal gender balance in the High Court proves. "Inherently we have a pretty conservative bench, it's certainly not been a tale of how three women got on the bench and destroyed the joint. That's not been the case at all." Let's just see what happens once Kcasey gets there. Kcasey McLoughlin is currently a Lecturer in Law at Newcastle Law School. Kcasey's research explores the interaction between women, gender and difference in the judiciary. Her PhD was awarded in 2016 and this research examined the way in which gender and difference have impacted upon the contributions of women judges to the High Court of Australia. As an interdisciplinary researcher interested in feminist legal theory and feminist political theory she is eager to press the boundaries between the disciplines of law and political science in ways that are meaningful to both disciplines. Kcasey's experience working for a Member of Parliament in a regional electorate provided valuable experience in politics and policy and reinforced the important role lawyers can play in public policy debates. Kcasey is admitted as a Solicitor of the Supreme Court of NSW and has experience in commercial legal settings and in community legal centre work. Her experience as a Solicitor at the University of Newcastle Legal Centre advice sessions further underscored her commitment to clinical legal education. Kcasey is passionate about the educational benefits of mooting and has co-ordinated Newcastle Law School's Mooting Program since 2013. This has involved coaching students in various competitions (the Ashurst Equity Moot, Kirby Contract Moot, the Harry Gibbs Constitutional Law Moot and the Jessup Moot) and forging connections with the legal profession to enhance the opportunities available to our students. Kcasey's research about gender, judging and the judiciary has been published in national and international journals. In addition to her research about women and the judiciary, Kcasey's research is more broadly interested in how law affects women's lives. She has written about abortion, sexual violence against women, paid parental leave and gendered constructions of harm in free speech cases. Kcasey has supervised four students in the completion of their Honours dissertations in Law and enthusiastic about opportunities for future supervision. Kcasey also has experience teaching in the Politics Discipline. She has taught into introductory Political Theory and Australian Politics courses and the upper level Feminist Political Theory course, Challenging Political Discourses. © 2017 Australian Political Studies Association. The High Court of Australia¿s decision in Monis v The Queen and Droudis v The Queen concerned whether Monis and Droudis¿s use of the postal service to send offensive letters warranted the constitutional protection of the implied freedom of political communication. The outcome was a split decision: the three men judges found for Monis and Droudis, and the three women judges against. We argue that this decision was significant because it draws attention to the law¿s key role in framing political understandings of the nature of and demarcation between public and private spheres. The Court¿s interpretations concerning how we should understand and apply the foundational relationships binding the state, the individual, and the public and private spheres in the twenty-first century highlights the gendered complexities of the politics shaping those relationships. It also highlights the gendered privileging of what sort of speech should be exempted from the law¿s immediate purview, and in so doing, further reveals the masculinism upon which Australia¿s constitutional framework rests.